The Sublime Maple series is sure to satisfy your appetite for beauty, quality craftsmanship and sonic superiority. The Sublime Maple Stripe is available in 3 tasty flavors, Blue Crush, Purple Crush and Gold Crush. For the ST Series, the flagship Sublime Maple series undergo a specialized 4-step painting process to produce three stunning and unique finishes. These finishes may be unlike anything you have ever seen, but the beauty of these drums is definitely beyond skin deep. 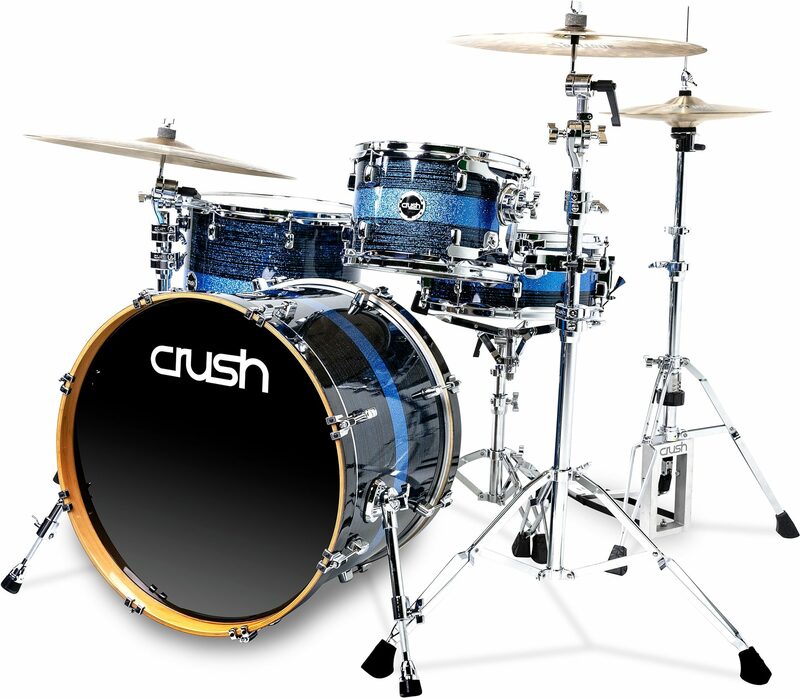 The shells are crafted from 100% North American Maple and are finished with well thought out Sublime hardware fittings to ensure that each drum produces the warm, fat tones you expect from a high-end Maple shell. As is standard with the Sublime series, bearing edges are selected based on the drum type and size to optimize the sound from each shell. Proven time and time again in reviews, in the studio and on stage with some of today's top artists, the Sublime Maple series has continued to exceed the expectations of the most selective drummers. So pull up a throne, give them a taste and your senses will be delighted. They look delicious but please do not try to eat them, they are drums and that would just be weird. 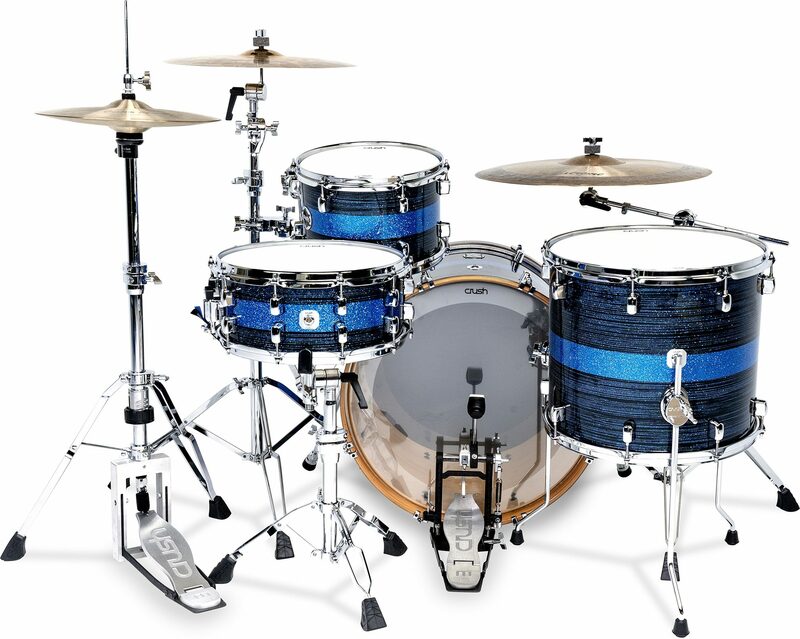 - Removable Inserts in the tom brackets (allowing use of multiple sized tom arms). *Snare not included with kit. 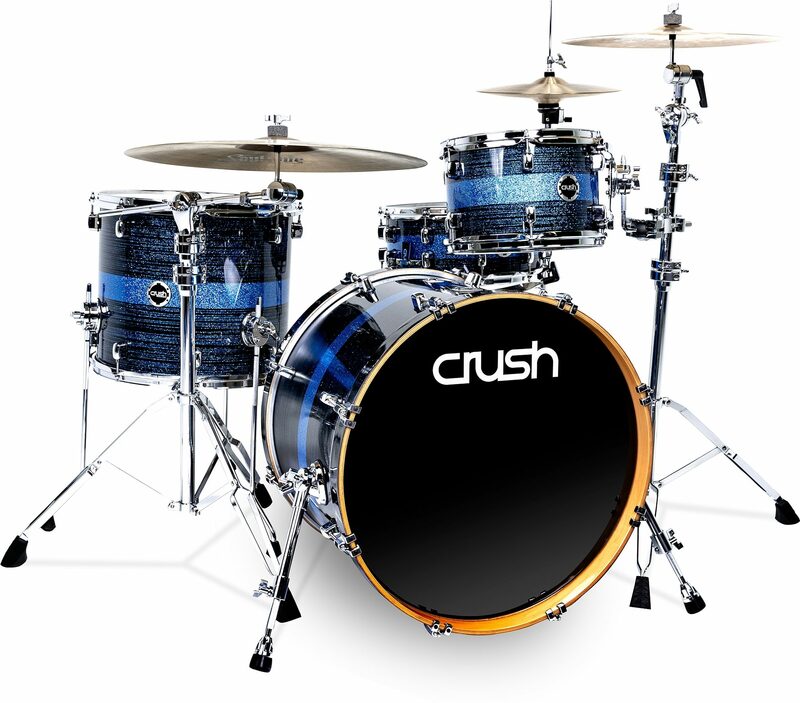 zZounds is an authorized dealer of Crush Drums and Percussion products.